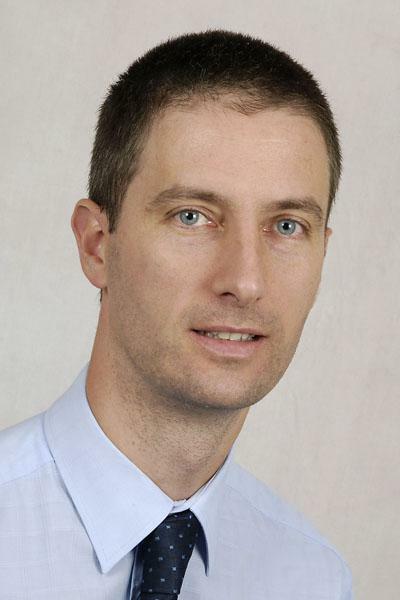 Dr Stuart Clarke is an Associate Professor and Honorary Consultant in Infectious Disease Epidemiology in the Faculty of Medicine at the University of Southampton. Dr Clarke has a major interest in the epidemiology of infectious diseases, particularly in relation to vaccine development and the evaluation of new vaccines. He works mostly with Streptococcus pneumoniae and Haemophilus influenzae. Dr Clarke initially trained in medical microbiology in Berkshire, gaining an MSc in Medical Microbiology from the University of Surrey, before studying for a PhD in Molecular Microbiology at the University of Leicester. He was Director of the Scottish Meningococcus and Pneumococcus Reference Laboratory in Glasgow between 1998 and 2004. He then took up specialist training in public health in Hampshire and was awarded an MSc in Public Health from the London School of Hygiene and Tropical Medicine in 2005. He became a Fellow of the Royal College of Pathologists and a Fellow of the Faculty of Public Health of the Royal Colleges of Physicians of the United Kingdom in 2007. In 2009, Dr Clarke won the Bupa Foundation's award of ‘Best Emerging Medical Researcher in the UK’ for his work on the molecular epidemiology of pneumococcal infection around the introduction of pneumococcal conjugate vaccines. In 2016, he was nominated for a Vice-Chancellor’s Award at the University of Southampton for his Internationalisation work. In 2017, he was shortlisted for the Newton Prize from the Newton-Ungku Fund, Malaysia. In 2018, he was nominated for the University of Southampton Women in Science, Engineering and Technology (WiSET) award. Dr Clarke developed his independent research career in 1999 when he was Director of the Scottish Meningococcus and Pneumococcus Reference Laboratory. His research focuses on the molecular epidemiology of Streptococcus pneumoniae and other vaccine-preventable bacterial infections, particularly in relation to polysaccharide conjugate vaccines. Dr Clarke was involved in the national meningococcal carriage study, led by Professors Martin Maiden and James Stuart, which was mainly funded by the Wellcome Trust. His laboratory led on the Scottish component of the study jointly with Health Protection Scotland. His laboratory was the first to introduce automated methods for multi-locus sequence typing (MLST) and was also the first reference laboratory in the world to introduce the method as a routine clinical service. He has since been involved in various pneumococcal and MenB carriage studies. Dr Clarke’s principal research projects are the Southampton pneumococcal carriage and disease studies which have been running for more than 10 years, since the introduction of pneumococcal conjugate vaccines in the UK. The Paediatric post pneumococcal conjugate vaccine study with co-investigator Professor Saul Faust takes place at University Hospital Southampton NHS Foundation Trust. It is investigating whether bacteria, in particular Streptococcus pneumoniae and other disease-causing types of bacteria that are carried in the upper airways of children and adults have varied since the introduction of the Prevenar vaccines. The Carriage rates and antibiotic resistance of bacteria in a community study with co-investigator Dr Sarah Williams from Solent NHS Trust samples bacteria from the upper respiratory tract in order to determine community carriage levels of common respiratory pathogens and the prevalence of antibiotic resistance. These studies were the highest recruiting studies in Wessex and sixth in the UK during 2017/18 within the Children and Infection specialties respectively. Dr Clarke also undertakes world-leading research in South East Asia. In Singapore, he collaborates with Professor Martin Hibberd and Dr Swaine Chen at the A*Star Genome Institute Singapore. Projects focus on the genomic epidemiology of S. pneumoniae and the prevention of urinary tract infections via an improved understanding of biofilm-derived variation of E. coli. In Malaysia he has numerous collaborations which look at the epidemiology of pathogens causing respiratory infections and healthcare associated infections. These include Professor Victor Lim and Dr Chun Wie Chong at the International Medical University, Kuala Lumpur; Professor Chew Chieng Yeo at the Universiti Sultan Zainal Abidin in Terengganu; Professor Norazmi Bin Mohd Nor at the Universiti Sains Malaysia; Dr Eddy Cheah at the Universiti Tunku Abdul Rahman; Dr Cheng Siang Tan at the Universiti Malaysia Sarawak; and Dr Cindy Teh at the University of Malaya. Some of these were built through a Newton Fund/British Council Institutional Links award. These links have also led to a number of Fundamental Research Grant Scheme grants with the University of Malaya and Universiti Sultan Zainal Abidin. Together with Dr David Cleary in the NIHR Southampton Biomedical Research Centre and colleagues at the Wellcome Sanger Institute, Dr Clarke’s research utilises whole genome sequencing to determine the relationships between bacterial species and populations before and during the implementation of new vaccines in the UK. Dr Clarke is also a partner in the Global Pneumococcal Sequencing Project. This study aims to examine the effect of the rollout of pneumococcal conjugate vaccine on pneumococcal strains escaping the vaccine in developing countries through the sequencing and comparison of whole genome sequences of the species before and after vaccination. Dr Clarke is a key member of the University of Southampton Institute for Life Sciences Biofilm and Microbial Communities Research Group. His main interests lie in understanding the biology of pneumococci and other respiratory pathogens in the single and multi-species biofilm state during pneumococcal conjugate implementation. His main collaborators are Professor Jeremy Webb and Professor Saul Faust. In collaboration with a pharmaceutical company, Dr Clarke led the microbiology component of a 5 year programme of work which aims to generate epidemiological data to further explore determinants of Chronic Obstructive Pulmonary Disease (COPD) and the contribution of bacterial and viral pathogens to Acute Exacerbation of COPD (AECOPD) episodes. Following funding from the Bill & Melinda Gates Foundation, Dr Clarke was previously the Principal Investigator of the Research Investments in Global Health (ResIn) study. This study investigated infectious disease research investments (in particular pneumonia, and maternal & neonatal infections) across the G20 countries. A report was published in 2018. Co-applicants were Dr Michael Head (University of Southampton), Dr Joseph Fitchett (Harvard School of Public Health), Professor Rifat Atun (Harvard School of Public Health), Professor Marie-Louise Newell (University of Southampton), and Professor Anthony Scott (London School of Hygiene and Tropical Medicine). Dr Clarke heads a large research group comprising postdoctoral research fellows, biomedical scientists, research technicians, research facilitators, and PhD students. He is a Member of the American Society of Microbiology, the Microbiology Society and the Society for Molecular Biology and Evolution. Academic Lead for the Infectious Diseases module, MSc Genomic Medicine, University of Southampton, 2016 to date. Adjunct Associate Professor, International Medical University, Malaysia, 2016 to date. Adjunct Associate Professor, Department of Microbiology, National University of Singapore, 2013-2017. Associate Editor, Frontiers in Medicine, 2018. Associate Editor, Journal of Clinical Microbiology (2003-2014). Associate Editor, Journal of Medical Microbiology (2005-2011). Associate Editor, Molecular Biotechnology (2001-2007). Associate Editor, British Journal of Biomedical Science (2001-2007). Advisor to the National Public Health Laboratory, Malaysia, 2013-2014. Advisor to the All-Party Parliamentary Group on Child Health and Vaccine Preventable Diseases, 2012. Member of the Clinical Microbiology Group, Society for General Microbiology, 2003-2006. Member of the Institute of Biomedical Sciences (IBMS) Advisory Committee for Medical Microbiology, 2001-2004. Member of the IBMS Advanced Practice Working Group, 2003. Health Protection Agency Next Generation Sequencing and Bioinformatics Working Group, 2010-2011. Shakrin, N. N. S. M., Balasubramaniam, S. D., Yusof, H. A., Mastuki, M. F., Masri, S. N., Taib, N. M., ... Desa, M. N. M. (2013). Evaluation of PCR-based approach for serotype determination of Streptococcus pneumoniae. Tropical Biomedicine, 30(2), 338-344. Gottfredsson, M., Diggle, M. A., Lawrie, D. I., Erlendsdottir, H., Hardarottir, H., Kristinsson, K. G., & Clarke, S. C. (2006). Neisseria meningitidis sequence type and risk for death, Iceland. Emerging Infectious Diseases, 12(7), 1066-1073. Ong, H. H., Ho, Z. Y., Chew, Y. H., Lam, B. Y., Kam, K. Y., Kung, C. H., ... Cheah, E. S. G. (2018). Investigation of carriage and antibiotic susceptibility of pathogenic bacteria in the nose and oropharynx among students of Universiti Tunku Abdul Rahman Kampar Campus. Abstract from UTAR Intervarsity Scientific Symposium (UISS) 2018, . In the UK, Dr Clarke has teaching experience at the Universities of Glasgow, Edinburgh, Leicester and Southampton. He has various responsibilities, past and present, for the undergraduate medical programme in Southampton. He is a very active postgraduate supervisor for both Masters and PhD and has supervised thirteen PhD students to completion. His PhD students have been successful in gaining positions at prestigious institutions such as the Wellcome Sanger Institute, Imperial College, A*Star Genome Institute Singapore, and the European Centre for Disease Prevention and Control. He is currently main supervisor for two PhD students in the Faculty of Medicine, Southampton and co-supervisor for two PhD students in the Faculty of Natural and Environmental Sciences, Southampton. He is also co-supervisor for two PhD students in Malaysia (at the International Medical University and Universiti Sultan Zainal Abidin). He has acted as an external examiner for the University of Malaya, Monash University, the National University of Singapore, and the Chinese University of Hong Kong.